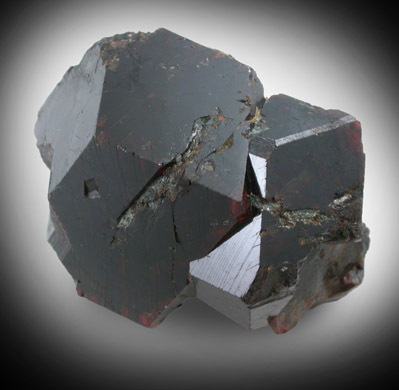 Description: Two intersecting crystals of wine-red almandine garnet with smooth, lustrous faces. The crystal are crystallized all around (except the bottom). 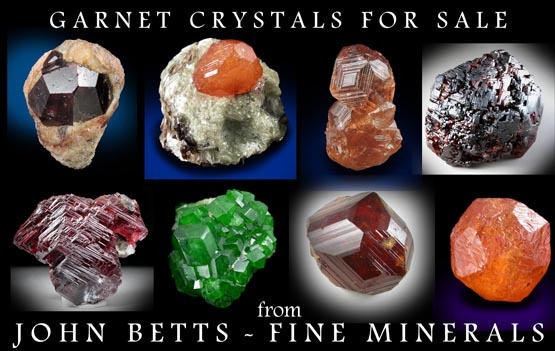 The outer edges are where it intersected adjacent crystals. Several areas show good translucency. Ex. John A. Rorer, Jr. collection; collected on a geology field trip University of Va.